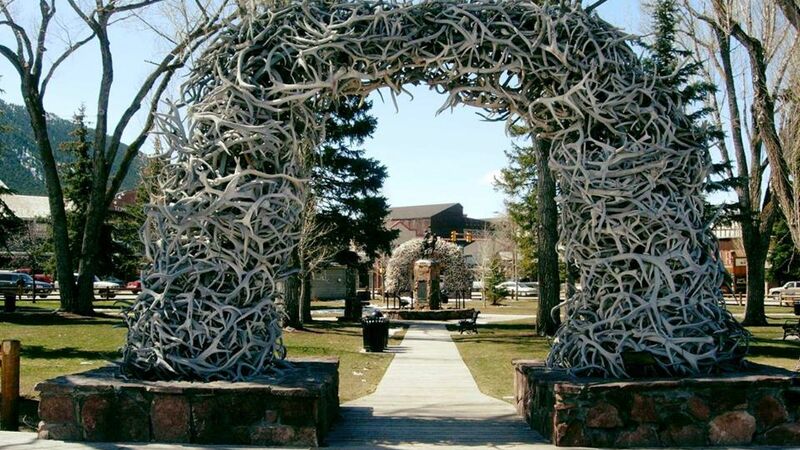 Have you been to Town Square and the elk antler arches in the heart of downtown Jackson, WY? 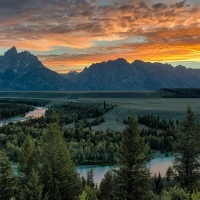 When you visit Jackson Hole, Grand Teton National Park, or Yellowstone National Park, be sure to visit downtown Jackson, WY to see Town Square and the historic elk antler arches. 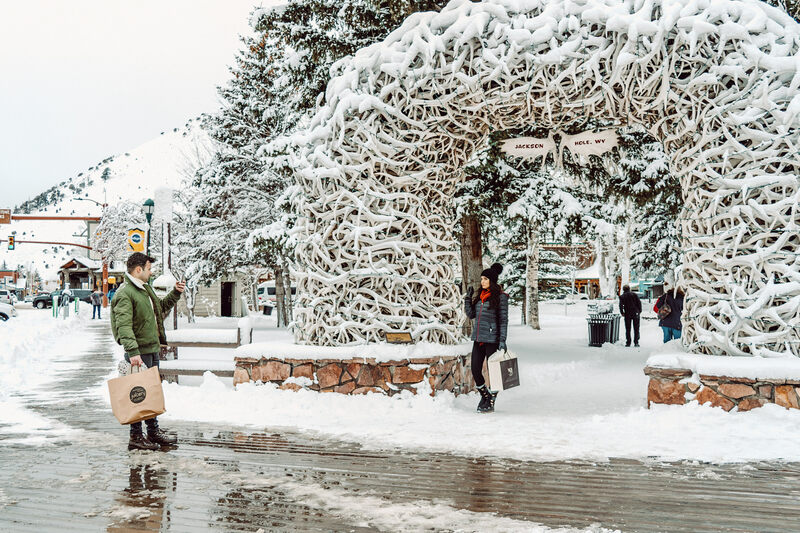 Your trip to Jackson Hole will not be complete without a walk through Town Square and a selfie in front of the iconic antler arches. 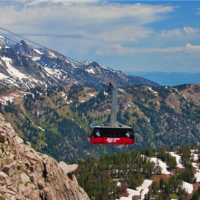 Where are the elk antler arches located in Jackson Hole? To find the arches, use the map below or do a mobile search for "Town Square Jackson, WY." Are the elk antler arches made from real antlers? Yes, Town Square’s four arches are built entirely from local elk antlers. Each arch is supported by a steel framework and constructed by hand using 14,000 pounds or more than 2,000 antlers each. The arches are held together mostly by friction and gravity and need to be rebuilt about every 50 years. Where do the antlers come from? 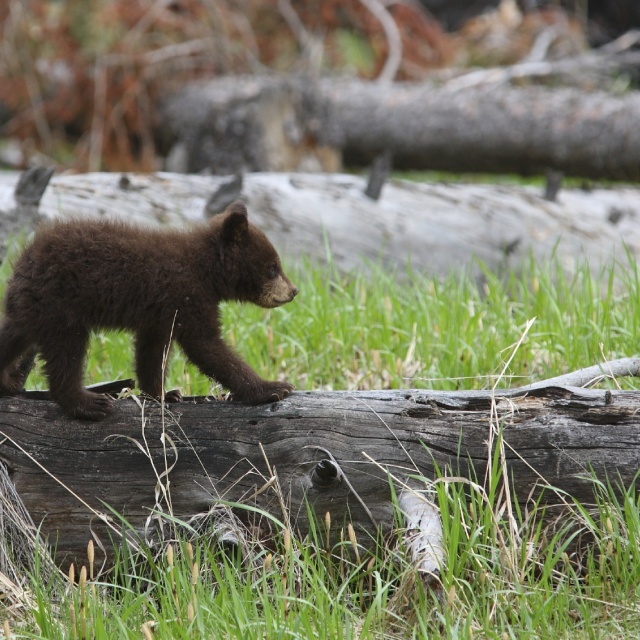 Jackson Hole is home to the National Elk Refuge, a protected sanctuary where hundreds of elk shelter during the winter months. 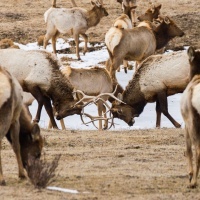 Every spring, elk will naturally shed their antlers, and it is a local tradition for Jackson Hole’s Boy Scout troops to harvest shed antlers from the National Elk Refuge each season. 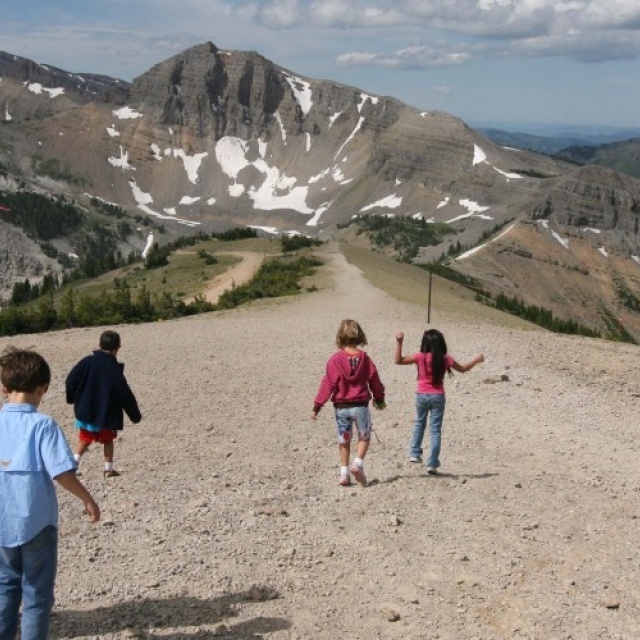 In May, the community celebrates ElkFest, a multi-day festival with vendors, music, and food. During ElkFest the harvested antlers are auctioned off to bidders from around the world with a portion of the proceeds benefiting the National Elk Refuge. What is there to do near Town Square? There’s always something happening on Town Square. Preserving a true sense of the Old West, the sidewalks on the streets surrounding Town Square are actually raised wooden boardwalks. Visitors love walking the boardwalks and crossing through the arches in Town Square to discover Jackson’s many shopping, dining, and nightlife options. Experience the longest running shootout in the west. Every summer evening Monday through Saturday at 6 pm on Town Square (no shooting on Sundays!). 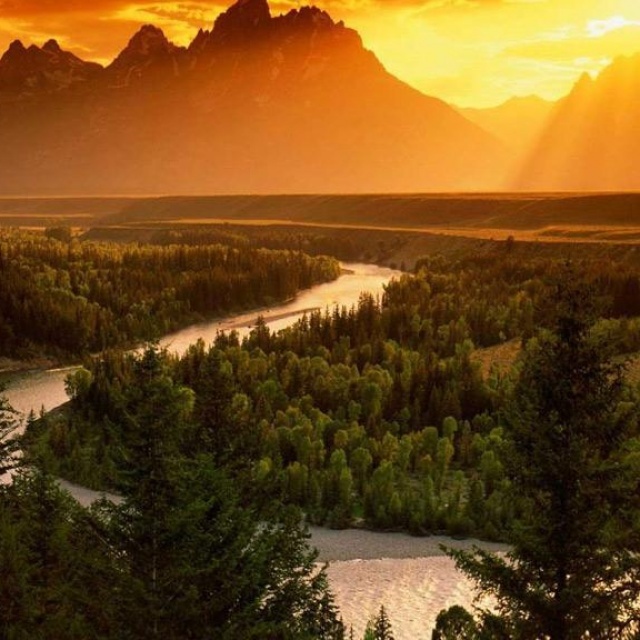 The Old West lives on in Jackson Hole. Hop on the Stagecoach at Town Square for a historical tour of the area. It’s a tradition to celebrate Independence Day with a pancake breakfast on Town Square followed by the parade! 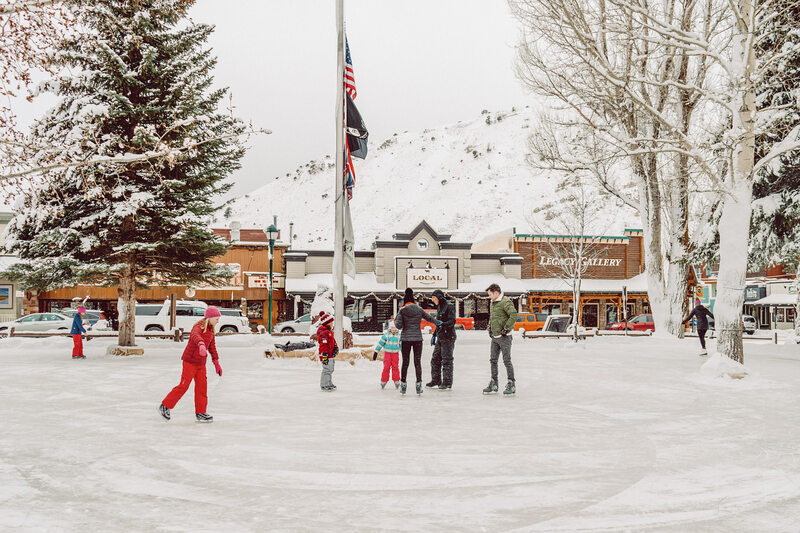 Check out the winter holiday decorations and take a spin on the ice. Kick off the holiday season with a traditional Christmas tree lighting and meet Santa on the Square. 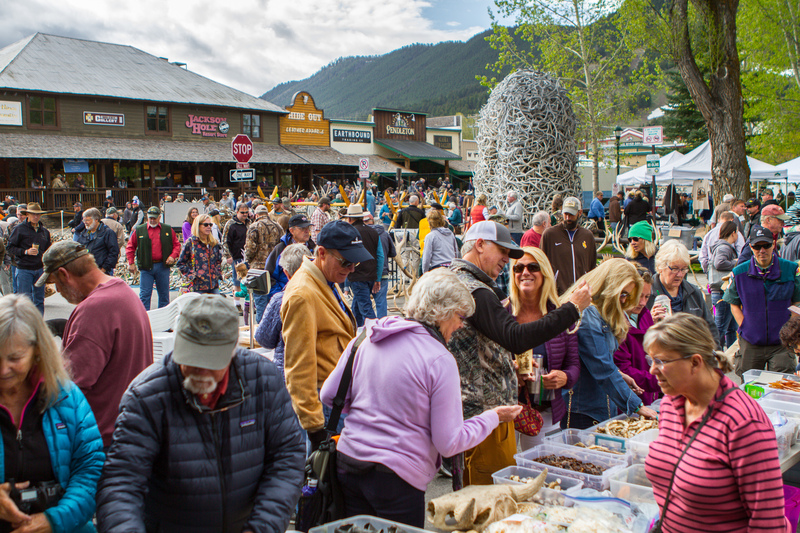 These two celebrations of western culture take place around Town Square every May and include an Elk Antler Auction, the Old West Days parade, and more. In the winter, watch as the dog sledding teams in The Pedigree Stage Stop Race cross the starting line right from Town Square.